The latest issue of Malayalam women’s magazine Vanitha features Prithviraj and Supriya's adorable little girl, Alamkritha, in her first public appearance. The young hero admits that he has become more responsible after his daughter’s birth. "Our life is now totally focused on Alamkritha, especially my wife’s. But just like I had, we too want her to grow up like a normal kid," says Prithviraj. Prithviraj and Supriya got married in 2011. Click here to see their wedding pictures. The multi-talented actor Vineeth Sreenivasan will be seen in a comic avatar in his forthcoming film, Kunjiramayanam, directed by debutant Basil Joseph. Vineeth plays Kunjiraman, who hails from a remote village named Desom and works in Dubai. His younger brother Dhyan, who was launched in Thira, is playing a character named Lalu. The cast also includes Srinda Ashab, Aju Varghese and Neeraj Madhav. Basil Joseph is a techie-turned-filmmaker, who has made some popular short films in the past. Vineeth, who was recently seen in films like Oru Vadakkan Selfie and Oru Second Class Yathra, is all set to start the shooting of his next directorial venture later this year. It is rumoured that Nivin Pauly will play the hero. 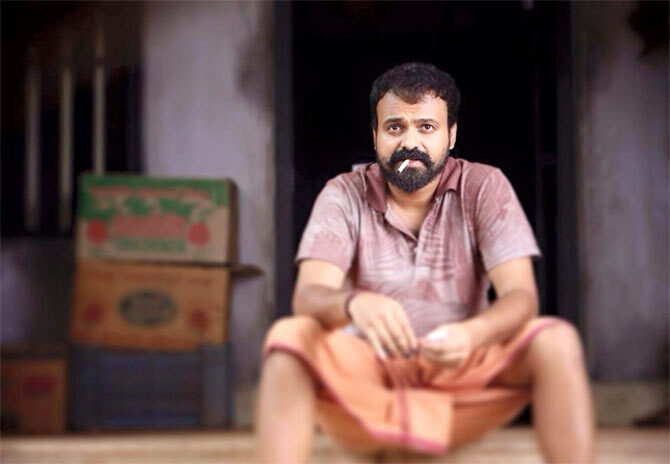 Actors Kunchacko Boban and Asif Ali are currently shooting for debutant director Reghu Rama Varma’s Rajamma @ Yahoo. Kunchacko plays a character called Michael Rajamma while Asif Ali’s character is called Vishnu Yohannan or Yahoo. Anusree and Deepti Sathy of Nee-Na fame are the heroines. M Sindhuraj is the scenarist.